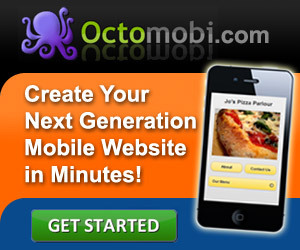 With the prevalence of the smartphone, mobile websites are the wave of the future. Much like everyone told you ten years ago to get your business on the Internet, the push is on to "get mobile". The difference is, this is coming like a tidal wave, because it built on something most people already have, a smartphone. Mobile traffic (or calls) has seen a six-fold increase since 2008. Reach in your pocket. 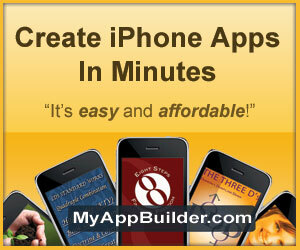 Do you have an iPhone, Android, or Blackberry? How about an iPad or other tablet computer? Then you are part of the smartphone revolution. This revolution does not require the purchase of a unique piece of equipment (like a personal computer or particular video game box), but utilizes what most people are already carrying around with them. Can you afford not to be there? Smartphone applications (or smartphone apps or mobile apps) are built to exploit this usage for the benefit of your business. The major challenge right now is the fragmented nature of the devices. This has resulted in different screen sizes, different input methods, and different coding languages for each device (sometimes referred to as native) as phone carriers and manufacturers try to maintain control over the market. As a result, what may work on iPhone, will not work on Android or Blackberry, as they use a different native language. HTML5, however, is seeking to bridge that gap as well as enable a single application to run on any mobile device along with applications used on your personal computer. The knock right now on HTML5 is that these mobile websites are slower than the smartphone apps built in their native application. The HTML5 will leverage the native application to utilize the GPS, camera and other features of the smartphone. The QR code (or Quick Response Code) is a two dimensional barcode created in Japan by Toyota. The QR code allows you to imbed information you want your customers to know about. It will generally be linked to your smartphone app, assuming they have a QR code translator. It could be a way for you to tell your customers about the latest deals and offering you have. In a June 2011 study, 14 million mobile users scanned a QR code. 58% scanned from their homes, while 39% scanned from a retail store. Make sure your mobile website has the ability to generate a QR code. Much like the website host, the mobile website developers come in all shapes and sizes. Some, like 99apps.com, focus on a particular niche, in their case, restaurants. Other providers, like uBuildApp, at least currently, only focus on one device, most likely the iPhone, as it is the most popular device in the US for mobile traffic. Here is a selection of mobile website partners to consider. Below that is a chart comparing features and pricing for each. This was done on a best efforts basis, including interviewing some of the providers directly, but you should do your own due diligence.